The Grails Application Forge includes an API which may be invoked using any http client, like curl for example. A list of all available options will be returned if a request is sent to the application without any arguments. IntelliJ IDEA has excellent support for Grails development. 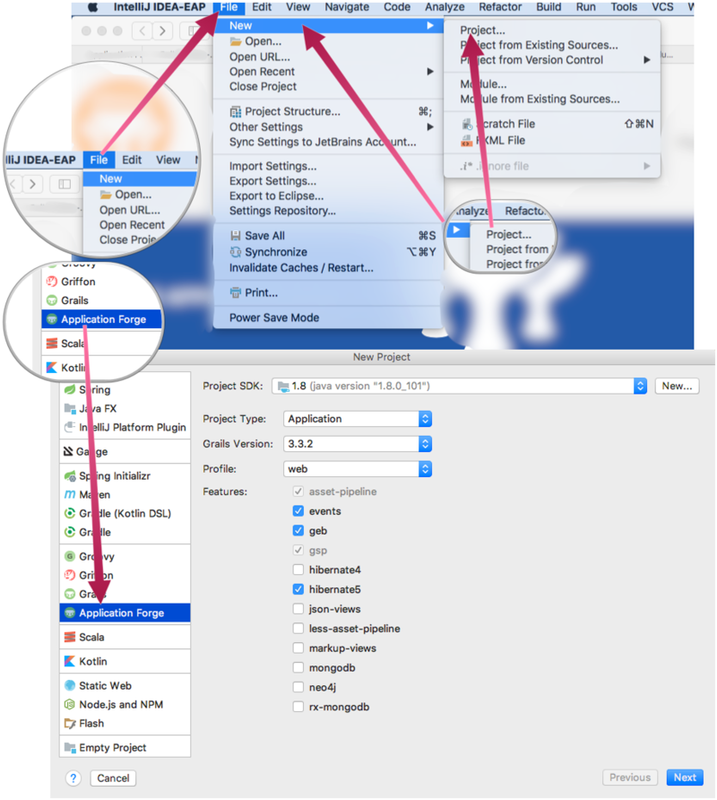 You can access the Grails App Forge functionality directly from the File → New → Project wizard.